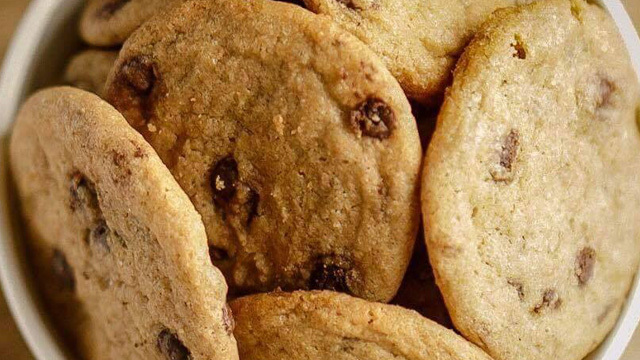 Got a date coming up? (SPOT.ph) There’s no need to wait for Valentine’s Day, your anniversary, or any other occasion to go out on a date with your S.O.—heck, you don’t even need a special someone to dine at a romantic restaurant! 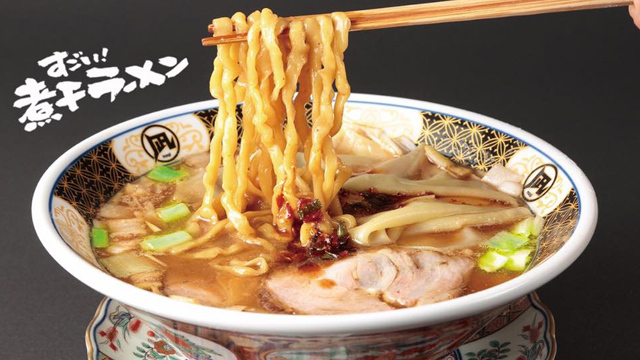 With a lot of options in BGC and Uptown Bonifacio, you’re bound to find something that's just perfect. 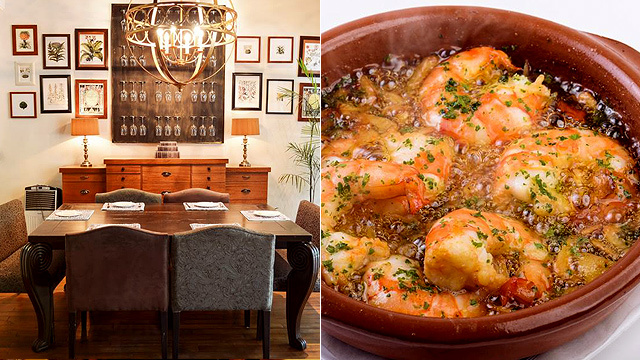 So whether it's with your mom, your best friend, or a hot date, it might be time to make that reservation and surprise that person at any of these dreamy dining destinations around Taguig. There’s more than just good gambas and paella at Las Flores. Instead of traditionally cheery and vibrant Spanish-style interiors, this tapas place features a mix of trendy and industrial accents, giving off a contemporary feel. You’ll adore the quirkiness of their mismatched furniture and sleek light fixtures and wall art—not to mention their famous Catalan-inspired cuisine. Choose your preferred vino from their extensive wine list (you can’t go wrong with the Rioja) and pair it with small plates of various cheeses and Iberian cold cuts. The Angus & Foie Minis are made with Australian beef tenderloin and luxuriously topped with foie gras and caramelized apple. Las Flores is at G/F 1 McKinley Place, 25th Street, Bonifacio Global City. You’ll feel a sense of old-world elegance when you step inside L’Opera—from their faded brick walls and high ceiling, to their sophisticated upholstery and furniture. This fine-dining Italian restaurant has been around since 1994 and it’s practically an institution. You’ll definitely want to dress up when you have a Tuscan-style dinner here. Their handmade pastas and mouthwatering main courses are good for sharing, like the Fileto Di Manzo Con Fegato D’Oca in Salsa Tartufata Con Spinaci E Asparagi or, simply put, fork-tender beef tenderloin with an earthy truffle sauce, creamy pan-fried foie gras, sautéed spinach, and asparagus. 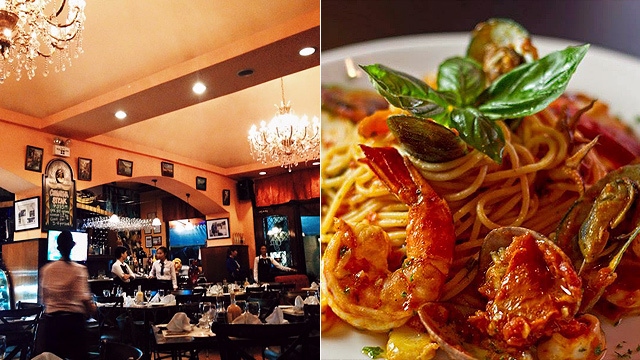 L’Opera Ristorante Italiano is at The Fort Strip, 26th Street corner 7th Avenue, Bonifacio Global City. The monochromatic theme at FOO’D provides the perfect canvas for the culinary creations of Chef Davide Oldani, who specializes in haute cuisine offered at reasonable price points. At this contemporary restaurant, you’ll find an open kitchen where they create their distinctive Cucina Pop (the chef’s own pop cuisine). Get to try a little bit of everything with their tasting menus, which vary from three to five courses. Each tasting menu includes an antipasto, main course/s, and dolce. Definitely go for the Truffle Cacio E Pepe; their version is arguably one of the best in the Metro. The fragrant dish is cooked with sharp pecorino romano, lemon, black pepper, and truffle oil. Fair warning, though: You might want to keep it all to yourself. FOO’D is at G/F High Street Park, Shangri-La at the Fort, 30th Street corner 5th Avenue, Bonifacio Global City. This isn’t your run-of-the-mill pizza place. The intimate restaurant is named after Italian chef Salvatore Cuomo, known for being the pioneer of Neapolitan pizza in Japan. There are no red and white-checkered tablecloths at Salvatore Cuomo, but you’re sure to enjoy traditional Neapolitan pizza baked in a custom-made oven shipped all the way from Naples. Don’t leave without trying the classic Margherita, a good choice to share with a date. It’s made with three superstar ingredients of Italian cooking: Mozzarella, basil, and marinara—all fresh and made from scratch, of course. Salvatore Cuomo is at G/F Uptown Parade, 9th Avenue corner 38th Street, Uptown Bonifacio. 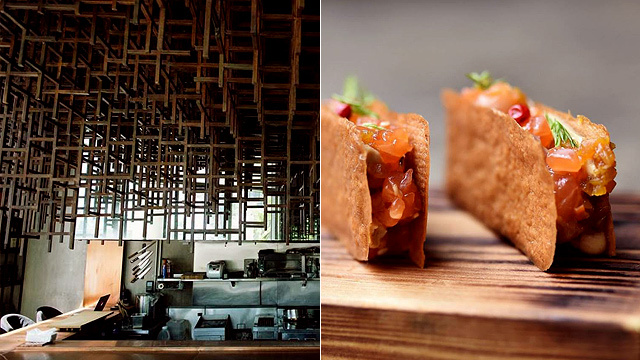 If you and your date are adventurous foodies, then Mecha Uma should be on both your food bucket lists. This homegrown concept by chef Bruce Ricketts offers contemporary Japanese fusion dishes that are sure to impress, especially on the first date. Chef Bruce’s creative take on Japanese cuisine highlights the usual suspects such as uni, tuna, and Hokkaido oysters, among others. Don’t miss the restaurant’s seasonal grilled dishes, like the Matsusaka Wagyu, which melt like butter in your mouth. Reservations are highly recommended. 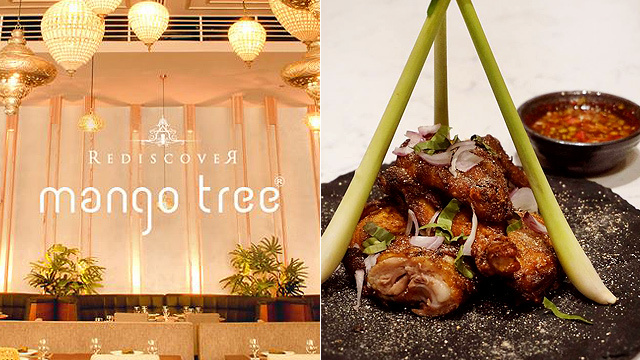 Thai cuisine may be commonly associated with street food, but at Mango Tree, you’ll rediscover your love for this famous Asian cuisine through their elevated dishes. Their newly renovated interiors filled with leafy greens are brighter now, making you feel like royalty once you step inside. Their food is just as remarkable as the ambience—the Prawns in Pandan use herb-marinated prawns instead of the usual chicken, while the Pad Thai with Soft Shell Crab highlights butter-soft crab amid al-dente noodles. Mango Tree is at C3, Bonifacio High Street Central, 7th Avenue, Bonifacio Global City. 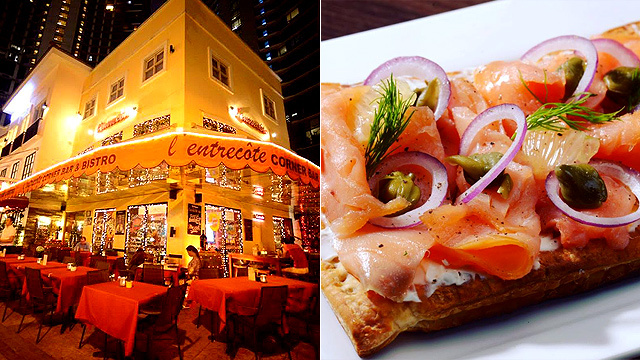 European cuisine is associated with fine dining most of the time, which is why you can’t go wrong with L’Entrecote, a modern Swiss-French bistro that has been around since 2010. For years, it has been satisfying diners with their hefty steak dishes. You and your date can share the L’entrecote Steak, which includes an eight-ounce U.S. CAB sirloin steak topped with their secret herb-butter sauce, and served with unlimited French fries and house salad. Or you can also go “Double,” with 12 ounces of steak. Another option that’s good to share is The Original Swiss Cheese Fondue, which will make any cheese lover’s heart skip a beat. 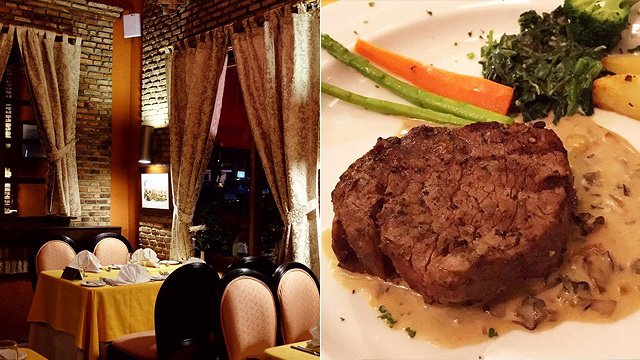 L’entrecote is at Unit A, Bellagio II, Burgos Circle, Taguig City. Way before Fort Bonifacio was as hip and happening as it is right now, Caffe Puccini had already been dishing up their classic Italian specialties since they opened their doors in 2004. Try their brick-oven pizza and handmade pasta and you’ll know why this establishment has stood the test of time. Don’t miss the Pizza Puccini, which features spicy Italian sausage, prosciutto, mozzarella, tomatoes, and fresh arugula drizzled with a tangy balsamic reduction. They’ve also got a great selection of pasta, risotto, and entrées, so you don’t need to worry if your date is a picky eater. Caffe Puccini is at G/F Unit 12, The Fort Strip, 28th Street corner 7th Avenue, Bonifacio Global City. Despite Dario Ristorante’s tongue-twisting dish names, you’ll find a sense of familiarity in their homey Italian dishes that are sure to comfort any hungry soul. Start with their antipasti, like a plate of Italian cold cuts, and then make your way to the star of the show, the Trittico di Pasta Terra, which features three kinds of homemade pasta in a delicate seafood-based sauce. Pair it with your choice of wine for a complete gastronomic experience—you might even chance upon a live pianist during your dinner date to set the mood. 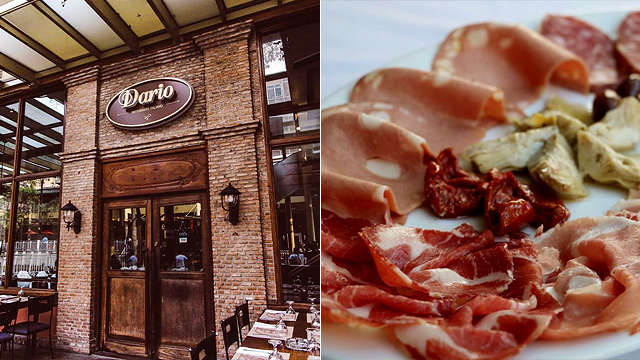 Dario Ristorante is at G/F Serendra, Bonifacio Global City. Lemuria might have branched out to BGC, but they’ve maintained the signature elegance and charm their Quezon City outpost is known for. 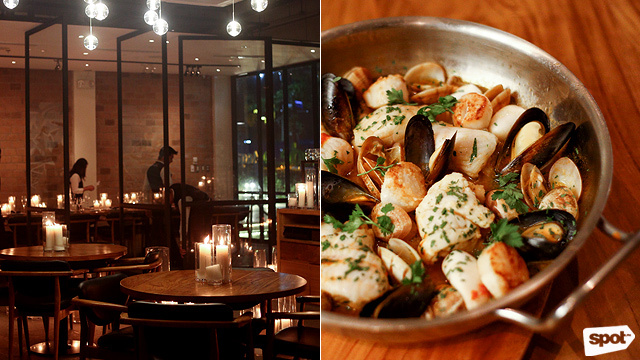 This underrated fine-dining restaurant in the neighborhood serves French-Mediterranean cuisine that will make you and your date want to go back even after the first visit. 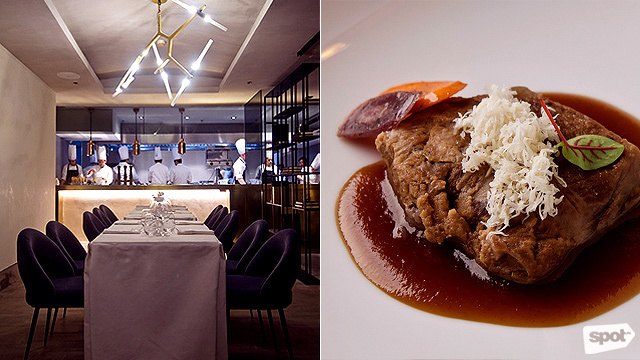 We recommend you go for their six- or nine-course degustation so you can sample more in one sitting. If you’re lucky, the tasting course might also star some of their famous dishes like the beef bourguignon, Kurobuta pork belly, or homemade ice cream. 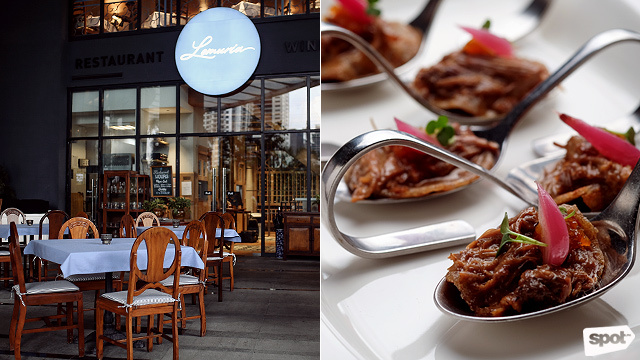 Lemuria Restaurant & Wine Bar is at The Plaza at Arya Residences, McKinley Parkway, Bonifacio Global City.